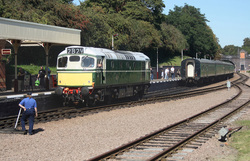 D5185..10.20 Loughborough to Leicester North. 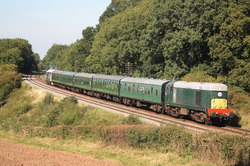 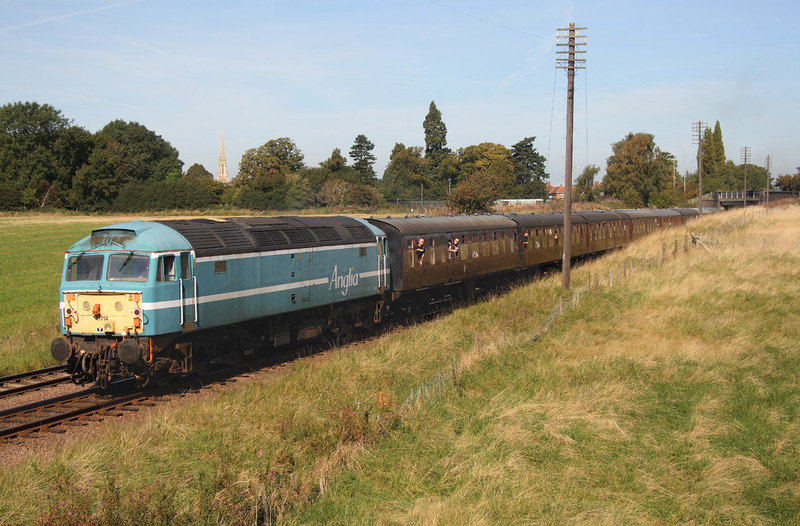 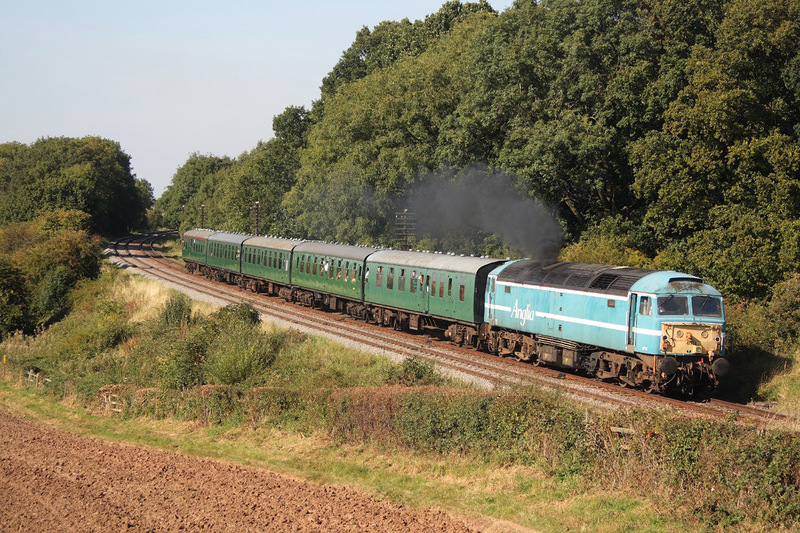 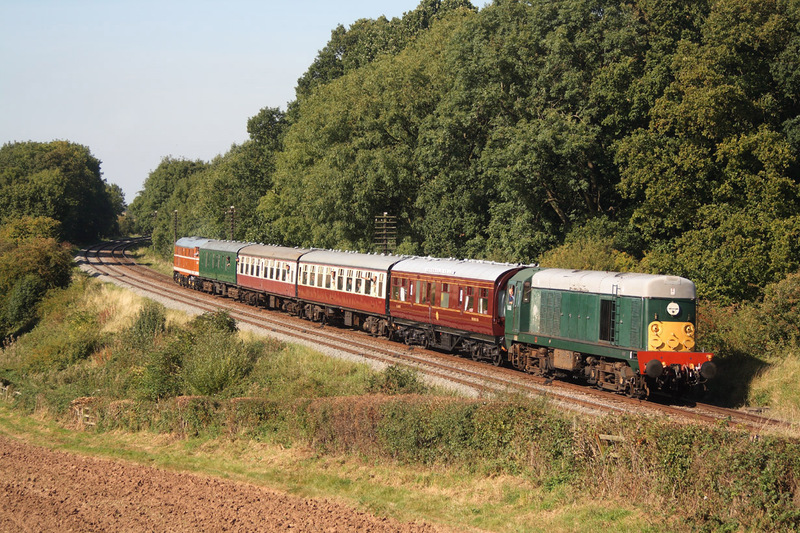 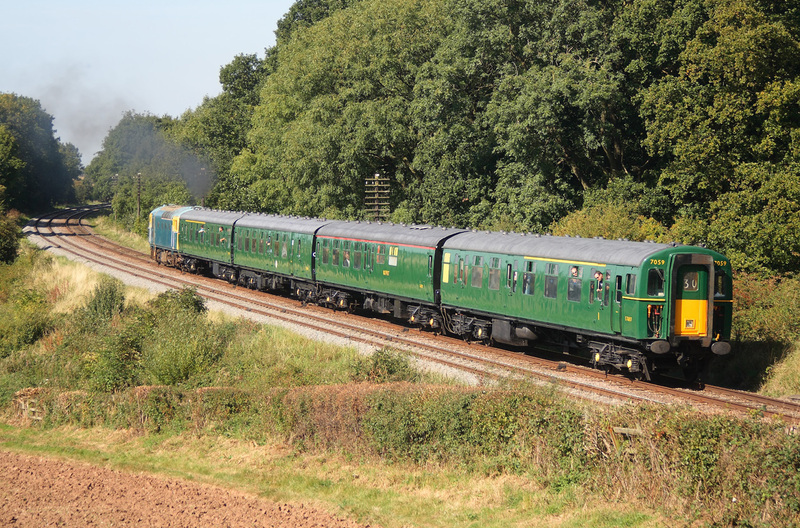 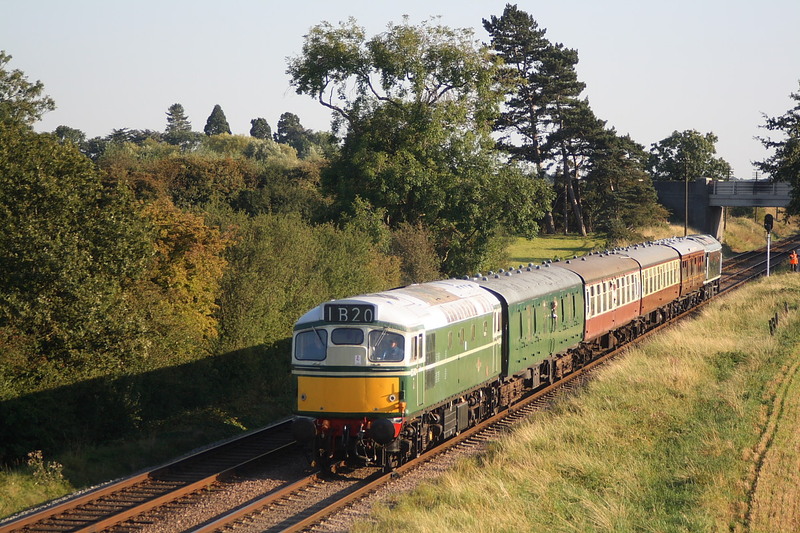 D123"Leicestershire and Derbyshire Yeomanry"2C11..11.20 Loughborough to Leicester North. 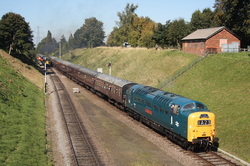 47714..2A14..11.45 Loughborough to Leicester North. D5185+47714..2A14..11.45 Loughborough to Leicester North. D5401 detaching from 2A18 stock from Loughborough. 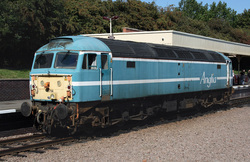 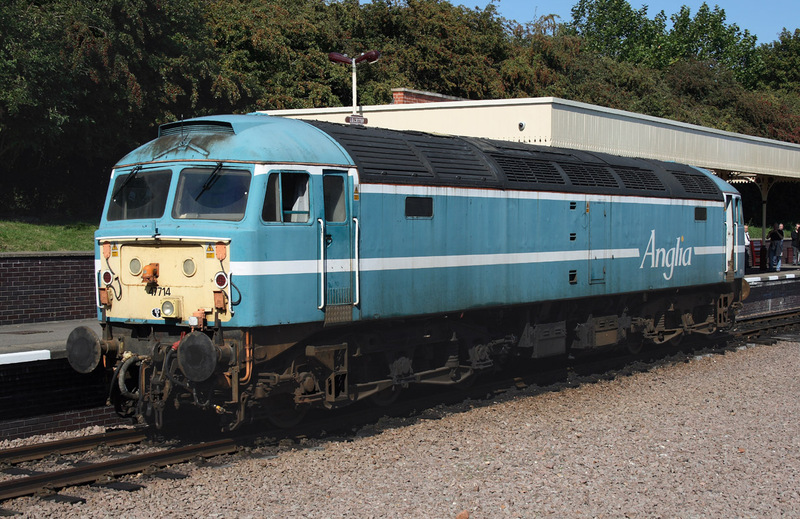 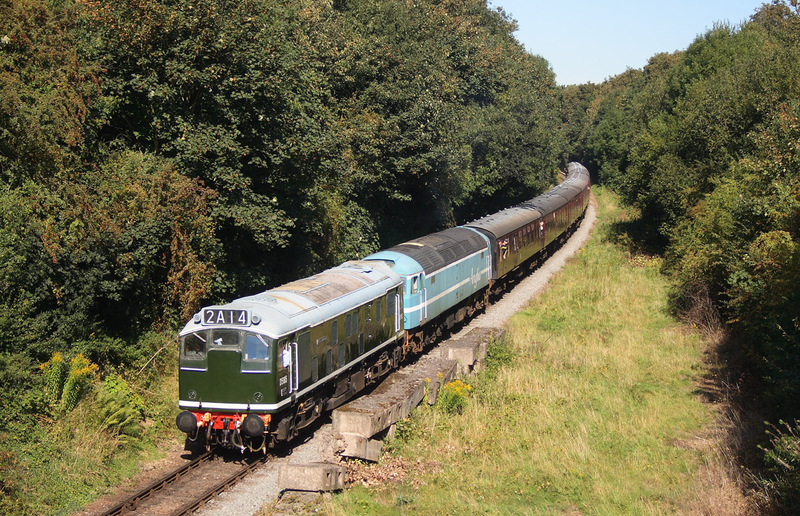 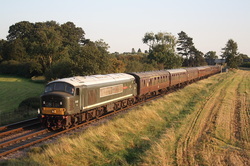 D9019"Royal Highland Fusilier"..1A23..13.00 Loughborough to Leicester North. 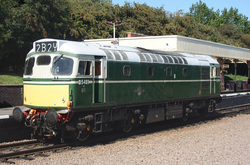 D8098..2C27..13.40 Loughborough to Leicester North. 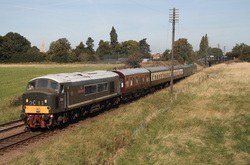 50007"Sir Edward Elgar"2A30..14.25 Loughborough to Leicester North. D6535 supplying the power for 4-BIG 7059,leading on 2C30..14.35 Loughborough to Leicester North. 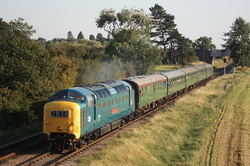 D9098..2C32..14.50 Loughborough to Leicester North,with D5830 on the rear. 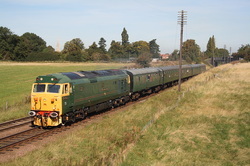 47714..1A33..15.10 Loughborough to Leicester North. 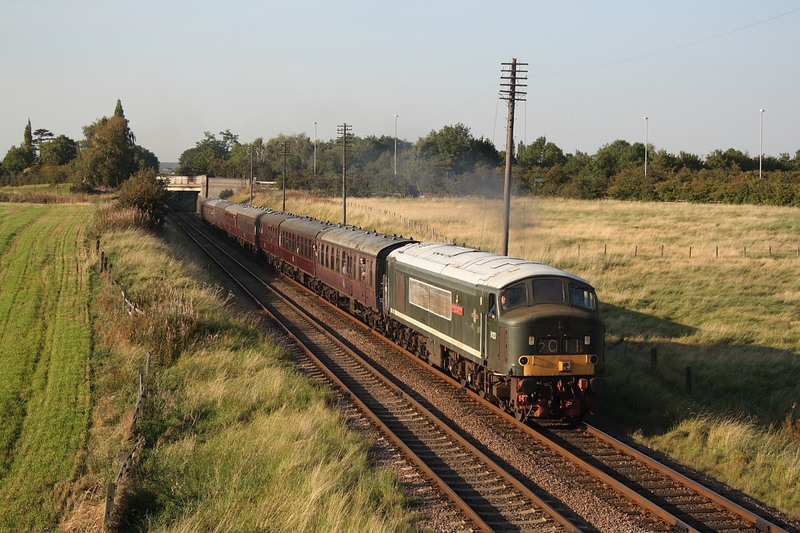 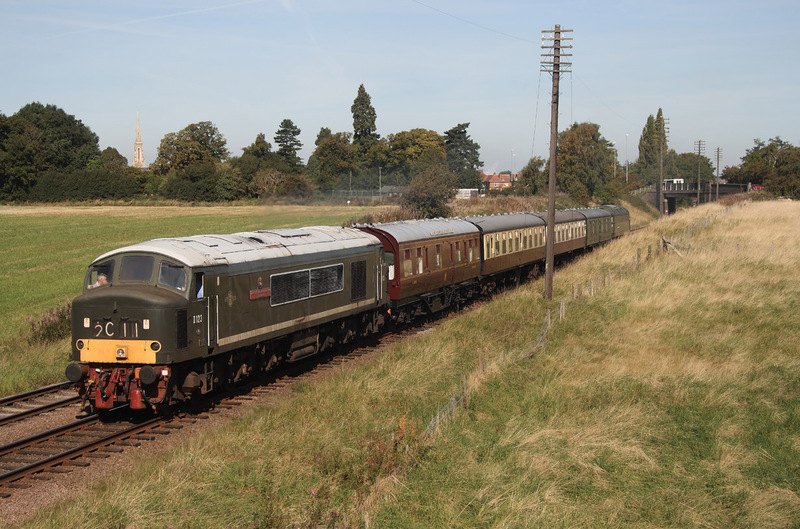 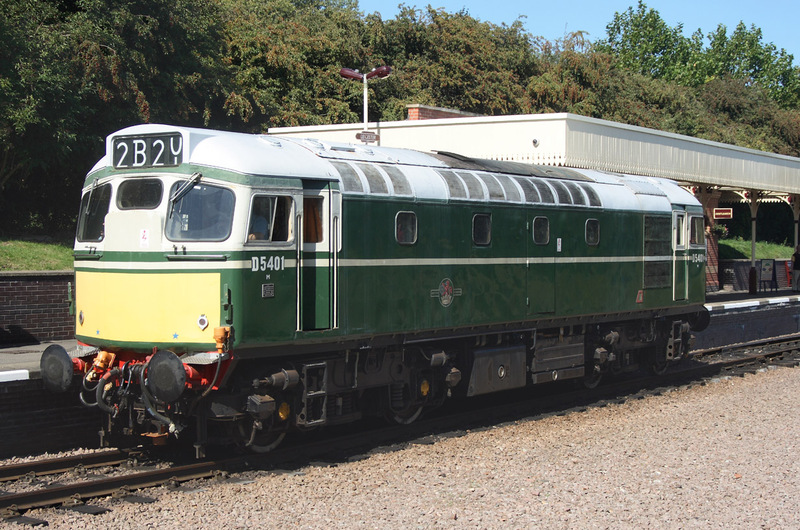 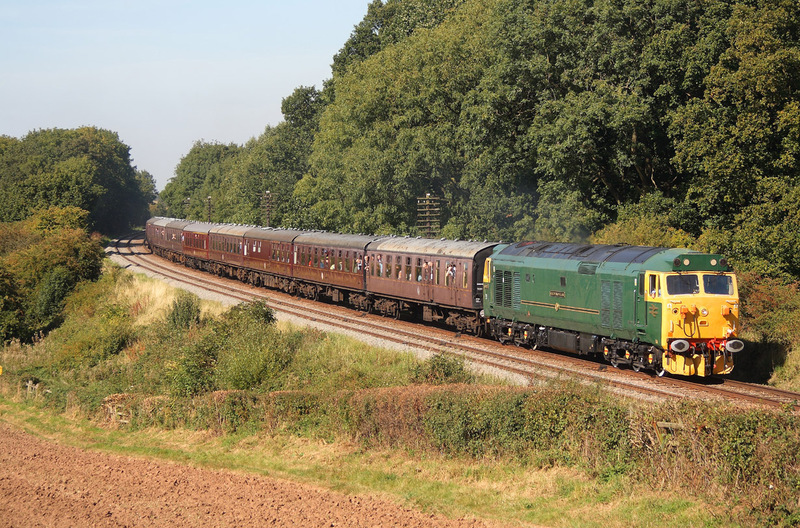 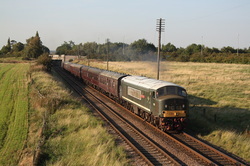 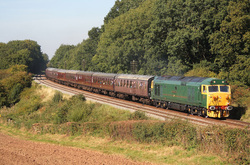 D123"Leicestershire and Derbyshire Yeomanry"2A41..17.00 Loughborough to Leicester North. 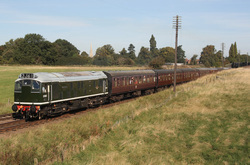 D9019"Royal Highland Fusilier"2B38..17.01 Leicester North to Loughborough. D123"Leicestershire and Derbyshire Yeomanry"2B39..17.41 Leicester North to Loughborough.